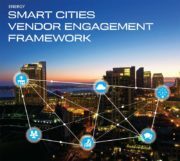 In the past five years, leading cities across North America have made tremendous inroads to testing and deploying smart city technologies to address key challenges related to maintaining and replacing aging infrastructure, managing maintenance costs and providing improved services to residents and community members. Building upon previous research conducted by the Urban Sustainability Directors Network (USDN) and Nutter Consulting, DNV GL partnered to capture the lessons learned and best practices for cities to engage with a diverse set of smart technology vendors. 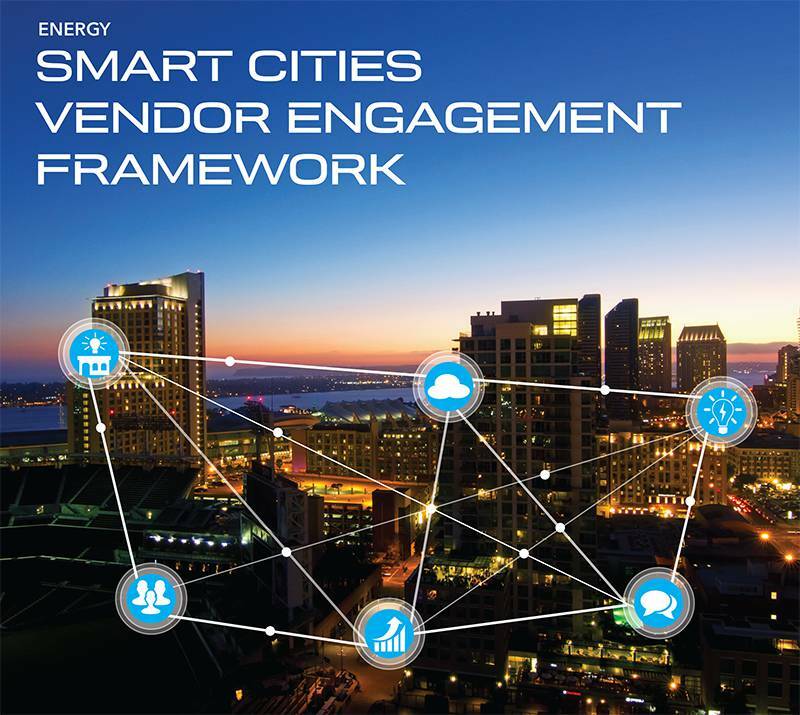 The USDN Vendor Engagement Framework is designed to help cities understand different approaches to working with technology vendors to leverage the benefits of emerging smart technologies and achieve smart sustainable city goals. 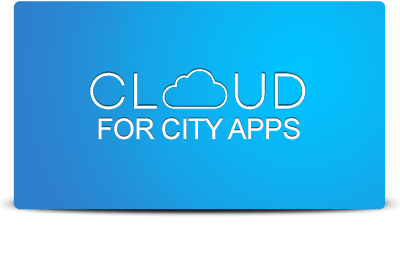 The Framework is also intended to help vendors effectively engage with cities on complex, long-term planning efforts. Sustainability directors can use this with Chief Procurement Officers (CPO’s) to encourage more innovative procurement. The following figure provides an overview of the USDN Vendor Engagement Framework that outlines three high-level categories for vendor engagement approaches: traditional procurement, partnerships and new innovative procurement. 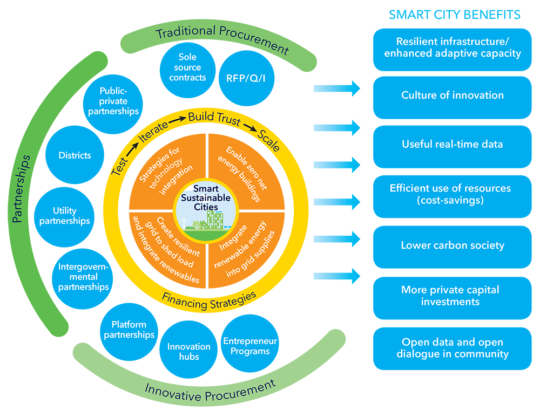 These approaches are aimed at supporting cities in the testing, refinement, trust-building, and scaling of smart city solutions to meet smart sustainable city goals.